Current 2019 USMS Membership is required. 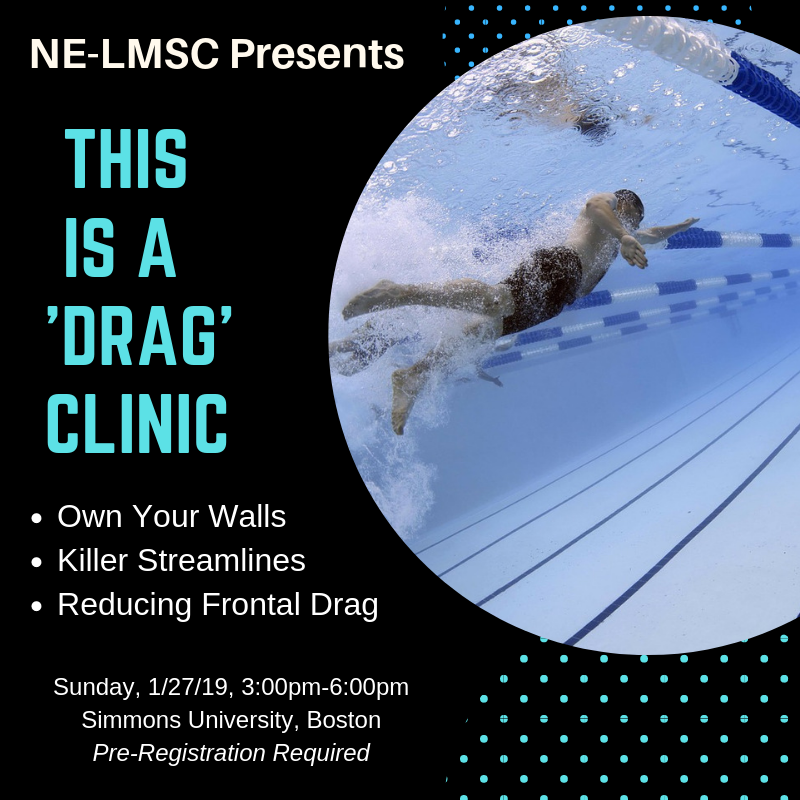 Members of the New England LMSC (with a 02 at the start of their USMS number) pay a discounted clinic fee of $30. Members of other LMSCs (USMS number does not start with 02) pay a clinic fee of $60. Online registrations are paid to "ClubAssistant.com Events".